Join Dr. John Leavitt’s Jubilee Singers in their Christmas concert “Songs of the Season,” featuring John’s arrangements of “The Coventry Carol,” the French carol “People, Look East,” and “The Virgin Mary Had a Baby Boy” as well as favorites like Kirby Shaw’s “Calypso Carol” and his gospel setting of “Go Tell It on the Mountain.” This will be a fun and inspirational concert. 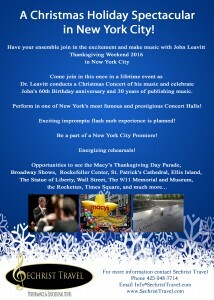 The ensemble has been preparing for this performance since after their premiere concert in October. “Songs of the Season” will use the traditional “Lessons and Carols” format which combines the Christmas narrative with Anthems and Carols. In additional to the carols above, the ensemble will sing an ancient chant, an American Shape note hymn, and an aria from Handel’s “Messiah.” There will even be an opportunity for participants to join the choir in a carol medley with Dr. Leavitt playing the beautiful Martin Ott Pipe Organ in the Atonement Lutheran Church Sanctuary. 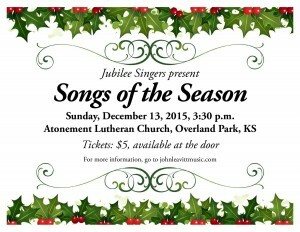 The concert will be held at Atonement Lutheran Church, 9948 Metcalf Ave, Overland Park, KS on Sunday, December 13 at 3:30 pm. Tickets are $5 and will be available at the door. 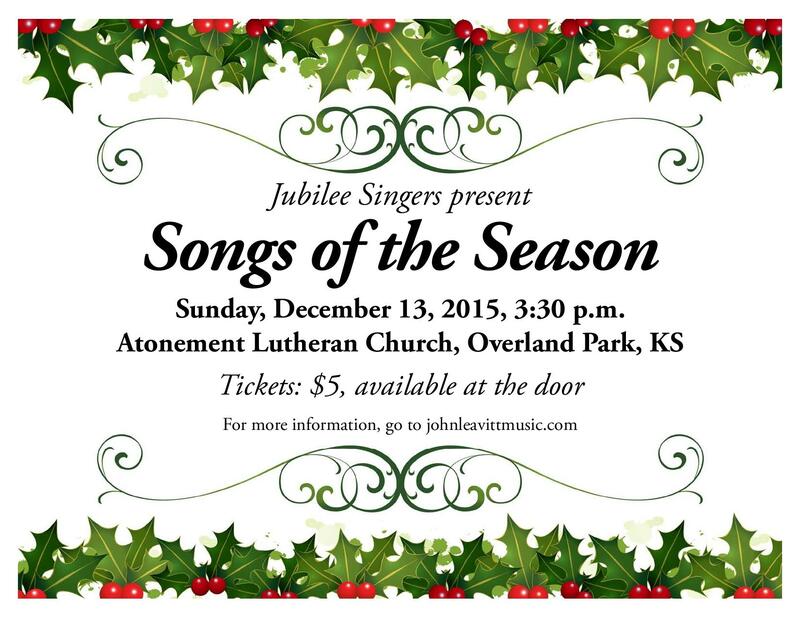 Come enjoy the wonderful songs of the season with the Jubilee Singers!